Cassandra Daniels’ parents want to meet her fiancé. The only problem—he doesn’t exist. Cassandra made him up because she’s tired of disappointing her family. Now, she must find a handsome, respectable-looking guy to be her fake fiancé. 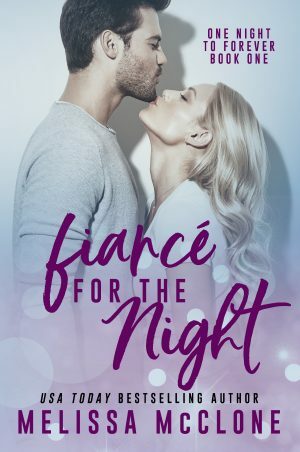 Troy McKnight can’t believe a gorgeous blonde wants to pretend to be engaged for the night. He’s not the type to go along with crazy schemes and drama, yet he can’t deny her pull and agrees to the charade. What’s the worst thing that can happen?